During the last Israeli elections in 2013, for the first time in many years, the ultra-orthodox parties, for a long time celebrated as the kingmakers of Israeli politics, did not succeed in forming part of the new government. While many devoted secularists in Israel celebrated the end of the orthodox influence on national politics, others rightfully cautioned against the euphoria, pointing out that the ultra-orthodox parties were replaced by a greater evil, the national-religious parties, which now have 20 members in the Knesset, the Israeli parliament, and serve as the heads of four ministries. Although they only constitute 8-10% of the Jewish Israeli population, their political influence must not be underestimated. 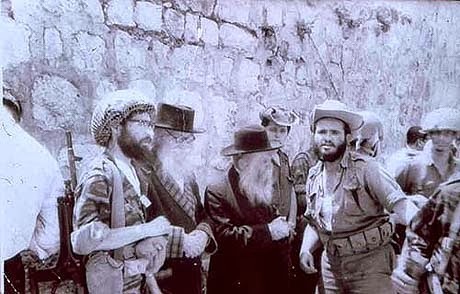 The ideological origin of the movement is usually associated with Rabbi Kook, the first chief rabbi of the pre-1948 Jewish community in Palestine, who interpreted the emergence of the Jewish state as a divine act. Kook's theology thus emphasised the sacredness of the State of Israel, whose territory should correspond to that of the Land of Israel, as prescribed in the bible, as well as of all its institutions. His notion that “redemption can only come when the entire People of Israel live in the Land of Israel, under full Jewish sovereignty”, basically served as the theological underpinning for settlement construction in the territories occupied by Israel in the war of 1967. Israel's miraculous victory in this war, after weeks of public panic, convinced even some secular Israeli Jews that somehow god must have been involved and on Israel's side and further popularised Kook's theology. Israel's next big war in 1973 constituted a traumatic event for the Israeli nation in general and for the national-religious movement in particular. Young religious Israelis perceived the war as signifying the failure of the secular Zionist movement and motivated them to assume leadership roles in the newly established Gush Emunim, the “Bloc of the Faithful”, a right-wing activist movement that committed itself to consolidate the victory of 1967 by building settlements. With more perceived setbacks in the years to come, such as the 1979 Israeli-Egyptian peace agreement, which included the Israeli withdrawal from the Sinai, more and more tensions arose within the national-religious movement, and led to its fragmentation and diversification. While the more pragmatic strands within the movement still believed that compromises with the State of Israel were possible, the more radical forces increasingly distanced themselves from the statist cooperative approach. This development reached its peak in 2005 with Israel's disengagement from Gaza, during which more than 8,500 Jewish settlers were evacuated from the Strip. Although the withdrawal was carried out relatively peacefully, with most settlers leaving voluntarily, its aftermath saw the increased use of confrontational and violent strategies by parts of the national-religious movement. Especially the younger generations of settlers, those who were already born in the settlements, strongly condemned what they perceived as “their elders' purported sell-out”. The “hilltop youth” had already emerged during the 1990s, but their determination to settle the Land of Israel and free it from the gentiles was further fuelled by the disengagement from Gaza. 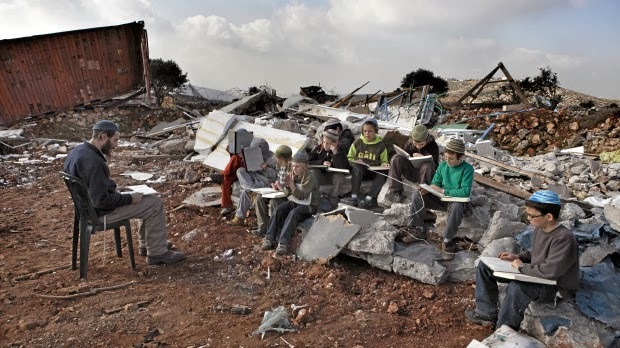 Apart from setting up encampments in the West Bank, considered illegal even by the Israeli state, and usually met with evictions by the army, those youngsters also frequently engage in violence against Palestinians, Palestinian property and places of worship. Those acts are frequently referred to as “price-tag”, and are intended as a measure of revenge, deterrence and intimidation. The violent acts of the hilltop youth and others are usually condemned by Israeli officials, as well as by a majority of the Israeli public; the right-wing activists are however still rarely legally persecuted, and not rarely do those outposts eventually turn into "legitimate" settlements. Officially rejecting the violent acts of their fellow activists, followers of Kook's theology of the sanctity of the Israeli state as well as other advocates of the more cooperative approach found ways to augment their influence and power from within, by joining the ranks of the Israeli army, the police force and even by becoming members of secular right-wing parties, specifically the Likud, which in turn took on more religious agendas. Their success inside those parties prompted leaders of the religious-national movements to reinvigorate efforts to rebuild their own parties. Most notably, Naftali Bennett, Israel's current Minister of Economy, left the Likud to eventually become the head of the Jewish Home party, which after the 2013 election entered the 33rd government of Israel. Acknowledging that the disengagement from Gaza received the support of a majority of the Israeli public, the more pragmatic strands of the national-religious movements realised that before they could move on with their settlement programme, they would first have to “settle in the people's hearts”. After 2005 they therefore increased their efforts to alter public opinion through media campaigns and by focussing their activities on urban communities in Israel proper. Working both on the communal and the individual level, they started mainly targeting the socio-economically weak sections of Israeli society and set out to strengthen those community's religious Jewish identity. The educational programmes and outreach movements that were established during the last decade obviously promote a form of Judaism that is centred around the notion of the sanctity of the Land of Israel, the Jewish people, and the State of Israel, thus pairing religion with modern political Zionism. It is safe to say that the relatively small numbers of 8-10% actually belie the outsized political influence of the national-religious movements, which today do not only focus on settlement expansion, but exert their growing influence on all areas of Israeli politics and constitute one of the biggest obstacles to a just peace in the region.